New CND Polish - Review of VinyLux Chip free for 1 week - No Curing, No Soaking, No Scraping - No Kidding! 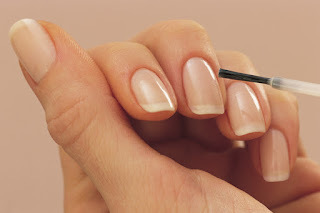 Finally... Long lasting NAIL POLISH you can take off at home! So we LOVE Shellac, but not every client wants to wear the same color polish for two weeks.. even if it stays looking beautiful! CND's new VINYLUX is a breakthrough from normal polish and gel polish because it was formulated to endure a week of wear ...without a base coat, lamp or scrape off! There is no light to cure. CND's ProLight technology will cure VINYLUX in approximately in 8.5 minutes with no lamps. The ProLight technology cures using natural, ambient light that actually will strengthen its high shine staying power over time! This is a huge breakthrough for people like myself that NEED a long wear but don't like to commit to gel color. Personally, I don't do Shellac before trips because if I chip a nail there is no way for me to fix it... and I am solely reliant on finding a salon (while trying to relax) that can mend a chip! Now I can just remove the long wear polish and/or touch up. Thank you CND - you have revolutionized the nail industry once again! CND's new VINYLUX nail polish will be available in 62 seriously stylish colors, including over 30 colors that match most popular CND Shellac shades. Color stays strong and glossy with shine for one whole week! Licensed Salon & Nail Professionals can purchase from Pure Spa Direct May 1st, 2013.